A newspaper editor is convicted of a offence because he failed to realise that a picture would break the law. Arrest, an appearance in court or a caution are increasingly a part of journalism and publishing – as are the life sentences that follow. This was the fate which befell former Sun editor David Dinsmore earlier this month. He was convicted under the Sexual Offences (Amendment) Act because a heavily obscured picture of a sexual offence victim was found to have inadvertently identified her to those who were familiar with the original photo. Former Newcastle Journal Brian Aitken received a similar conviction last year, under the Children and Young Persons Act, after his papernamed the school where a teacher was convicted of grooming a female pupil breaching reporting restrictions which he did not realise were in place. These relatively minor offences faced by journalists are normally kept on police records for 100 years from their date of birth (even once they are spent). The UK is out of line with the rest of Europe. In Sweden minor offences are deleted after five years and across the EU minor offences, where they appear on criminal records – in the Netherlands, for example, nothing under a €100 fine is put on a criminal record – have set periods after which they are expunged, as does Scotland. Following a judgment by the UK High Court in 2012 the Government set up the Data Barring Service (DBS) separate from the police data system allowing filtering of criminal records for employment checks. Standard checks may no longer show ‘spent’ offences but the bad news for the national newspaper assistant editor fined at Bow Street Magistrates Court is that his details will remain on the police data base until he reaches 100 and, should he ever require an Enhanced Criminal Records Check his conviction will show on his sheet. Journalists are not alone. According to the key judgment on this issue evidence given on the part of the UK at the European Court of Human Rights suggests that were time limits to be put on such data retention more than one million records would have to be expunged. In a casual remark while Justice Minister Ken Clarke stated that 25 percent of the population have criminal records. That is some 20 million people. The Court of Human Rights in Strasbourg receives practically no inquiries from British Journalists and has adopted a policy on not commenting on UK matters. As the “first” journalist to seek and be granted a briefing some five years ago I was told that the lack of an expungement system was “the only major issue with regard to the UK”. M.M is a grandmother who on learning that her grand daughter was being taken to Australia took her from her home for a couple of days and after returning the child admitted “kidnapping” and received a caution following which she was repeatedly refused work in the NHS after Criminal Record Checks. While the UK has now created a filtering system the ECHR judgment refers to enhanced checks that reveal all, with no distinction on the seriousness of the offence and the time that has elapsed. The judgment highlights that there are no safeguards that information will not be disclosed in violation of Article 8 – the right to a private life. Referring to a judgment by the UK’s Lord Hope the ECHR noted that in 2008/2009 275,000 requests were made for Enhanced Criminal Record Checks. It also referred to Lord Neuberger’s comment that even where a caution or relatively minor conviction or questionably relevant offence is concerned an employer may prefer to reject the job applicant. “We have no plans to introduce a system to allow criminal records to be expunged. “Records are retained by the police in case they are necessary for policing purposes. They may also be disclosed to eligible employers or licencing authorities following an application to the Disclosure and Barring Service (DBS) for a standard or enhanced criminal record certificate. Currently any journalist falling foul of the law should bear in mind that any further minor offence would currently mean that both would show up on a standard criminal record check. 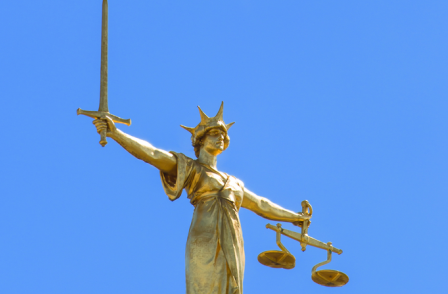 The issue of two offences appearing is subject to a recent critical judgment in favour of two appellants and a call by the judge for the government to re-examine the situation. Journalists and publishers have been ruled legally liable for what appears so perhaps they should move to Scotland. While the system almost certainly does not meet the ECHR’s interpretation of reasonable the country does have an expungement system. “The operation of Police Scotland rules means that after certain criteria are met, information relating to old criminal activity is deleted from the system. Each case is weeded (i.e. completely removed) from the CHS on its individual merits based on the appropriate retention rule. Records are removed (or weeded) from the system using criteria relating to the seriousness of the offence; the age of the individual; and the length of time that has passed since the offence was committed. In Belgium anyone convicted of a non-violent or serious offence after five years can apply to a judge to have their record expunged and usually expungement is approved. Journalists, like everyone else, should consider the implications for foreign travel or working abroad. Police records as well as being exchanged through ECRIS in Europe are made available to “friendly” countries. Australia and New Zealand require declaration of previous as do many others. Work permits may be difficult, or impossible, to get.